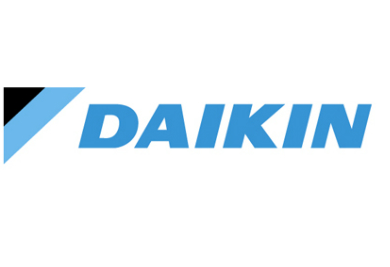 Daikin Ireland is a leading manufacturer and supplier of heating, ventilation & air conditioning equipment, including heat pumps and refrigeration. With more than 90 years of experience in air conditioning and climate control solutions, Daikin knows what it takes to create the perfect climate. Only the best is good enough when it comes to your home. Now, Daikin has taken comfort to a whole new level by reimagining a pure atmosphere with its Bluevolution range. When you choose Daikin technologies, you can count on year-round comfort, energy efficiency, reliability and control. High Seasonal efficiency ensures you stay comfortable in winter and summer, without breaking the bank. The R-32 refrigerant is more environmentally friendly than previous refrigerants. Daikin’s many years of experience and broad range of products means you can count on selecting a reliable, long lasting product perfectly suited for your home. And even when you aren’t home, you can adjust room temperature and operating mode with a user-friendly smartphone app. Let Daikin help you create the perfect atmosphere. Renewable energy source, such as air, ground and solar are up to 5 times more efficient than traditional energy sources, such as gas, oil and pure electricity. Whether you fully sustainable, hybrid or a traditional solution, Daikin has a range of solution that reduce your energy costs and benefit the environment. To reduce the environmental impact of refrigerants, the European Union wants to lower the consumption and use of fluorinted greenhouse gases (F-Gases), including hydrofluorocarbons (HFCs) in air conditioners and other heating, ventilation, air conditionning and refrigeration applications. However, HFC's remain necessary in many applications because of their energy efficiency, safety and economic benefits. Therefore there is no ban nor a phase out of HFCs, but a gradual phase down to a level that remains necessary for a sustainable growth of the air conditioning, heat pump and refrigeration industry. Thanks to technologies such R-32 and micro channel reducing the refrigerant charge, Daikin remain ahead of the market. High performance, Easy to install, Easy to control: The 3rd Generation of Daikin Altherma is setting the new heat pump standard. 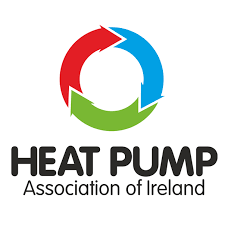 How does a hybrid heat pump work? 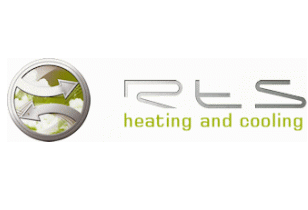 Combine the advantages of a gas condensation boiler with the cost-effectiveness of a heat pump. Every home can use the Daikin Altherma Hybrid heat pump for heating and for providing domestic hot water. John took the helm at Daikin in 2009, since when the company has become Ireland's market leading brand in the heat pump sector. With an MSc in building servicea engineering with sustainable energy from Brunel University to his belt, John manages the sales team, and acts as the link between the Irish market and Daikin's product development department. Calin joined the company from Daikin partner Unitherm in 2015. He has a masters degree in building services and HVAC. Ian joined Daikin in 2015, but has a long history in Ireland's nascent renewable energy technology sector, having working in solar thermal and solar photovoltaic companies since 2006. Working with Daikin since 2007, Liam is responsible for air conditioning, chiller and refrigeration sales and FQS technical support. He has qualifications that take in a diploma in sales and business and distinctions in heating, ventilation, air conditioning and refrigeration engineering.